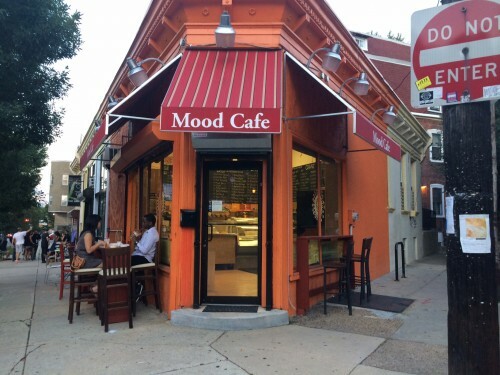 As the #2 most popular restaurant in the city of Philadelphia, Mood Cafe has a perfect score. What could possibly have an entire city so enthralled-crunchy bits, covered in a mix of colorful sauces, with vegetarian and meat options. Mood Cafe serves chaat and lassis to the lucky people of West Philly and visitors. 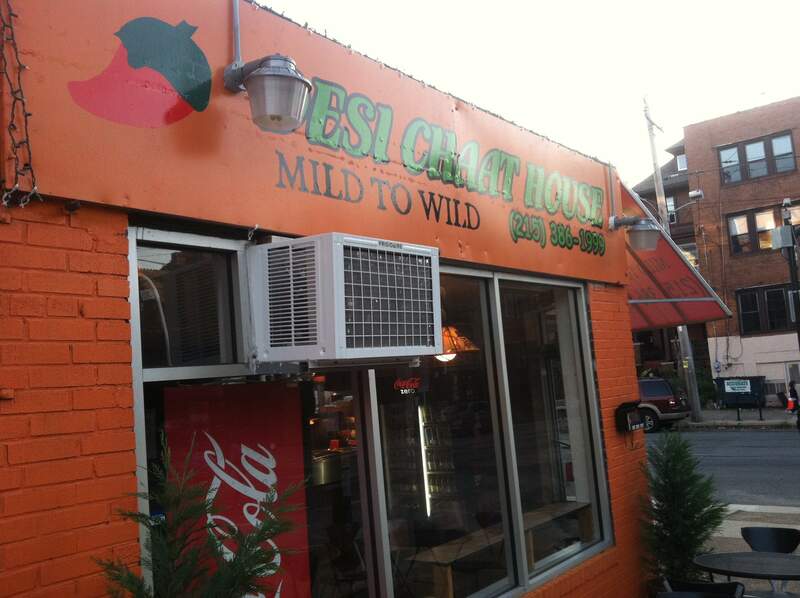 I didn’t realize until after I was finished eating here that the same intense guy also owns Desi Chaat House, which I enjoyed a few years ago. Both are located along Baltimore Avenue (in the 40′s) along with Desi Village that I have yet to visit, which makes me jealous that my neighborhood doesn’t have even ONE quick chaat take out shop for me. Posted at 3:55 pm, August 25th, 2014 under chaat, Indian, vegetarian, West Philly. 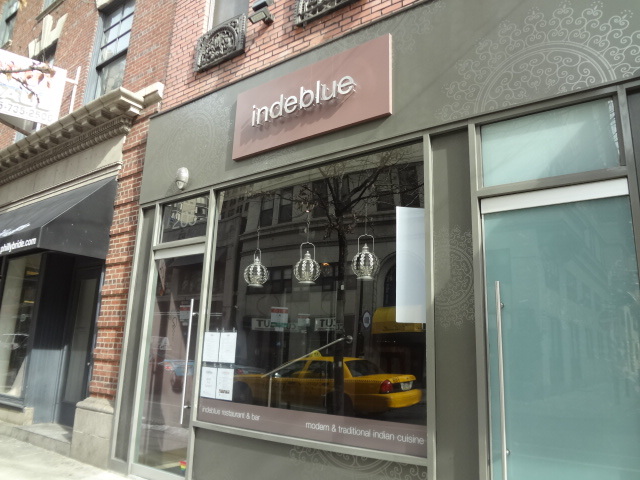 Last summer, Indeblue opened on the 13th street previously occupied by the Korean restaurant, Pastoral, I wanted to love but didn’t. Lunch service soon followed; it consists of a slew of familiar and modernized small Indian bites and a few larger entrees. In a city where there are several under $10 Indian buffets, how should we feel about a place where one small plate costs as much as all the Indian food you can eat? I had been curious about the menu and had to take Indeblue up on their offer to have me in to try their lunch. Posted at 4:32 pm, March 3rd, 2014 under chaat, Indian, sit-down. I really like chaat. I like the uniqueness of it, I like trying different versions, I really like the tangy yogurt sauce and the mix of crispy surprises. So when I found myself in UCity, where I was a 15 minute walk away from Desi Chaat House, I dragged myself over there despite the fact that I was exhausted and my feet really hurt. I was relieved to finally reach the orange shack. Then I had some big decisions to make. Which of the 20 or so chaats would I choose? Posted at 10:49 am, October 12th, 2011 under chaat, Indian. 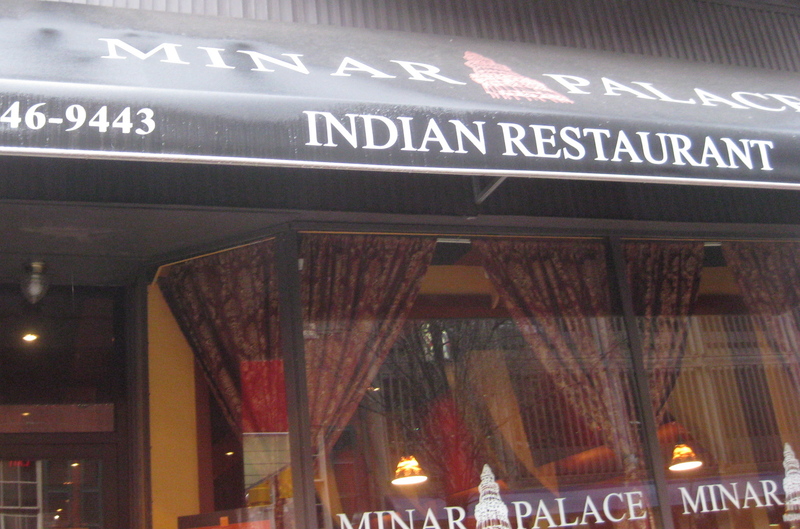 Is Minar Palace Center City’s Best Chaat? In March I enjoyed the chaat at the Desi Chaat house in the Bellevue food court. Commenter Spikyone reminded me that Minar Palace had chaat on their menu, which I had totally forgotten about. (Chaat = combo of chickpeas, yogurt and tamarind sauce mixed with crunchy dough) I visited Minar last a year ago and was very impressed by their lamb rogan josh so when I had a craving for yogurt and tamarind, I made the return trip. Posted at 12:10 pm, May 11th, 2011 under chaat, Indian, vegetarian. 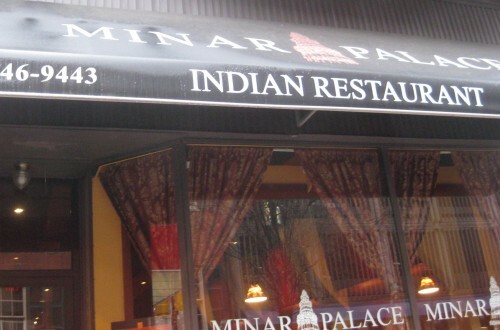 Way back in the day, after reading about a type of Indian food I had never heard of on the original Midtown NYC Midtown Lunch, I checked it out for myself and was hooked. Chaat means Indian “snack”, and usually refers to a unique combo of crunchy dough things topped with a yogurt and tamarind sauce. In Philly, I had assumed that the only place to get some without hoping on a bus back to NYC was all the way in University City. 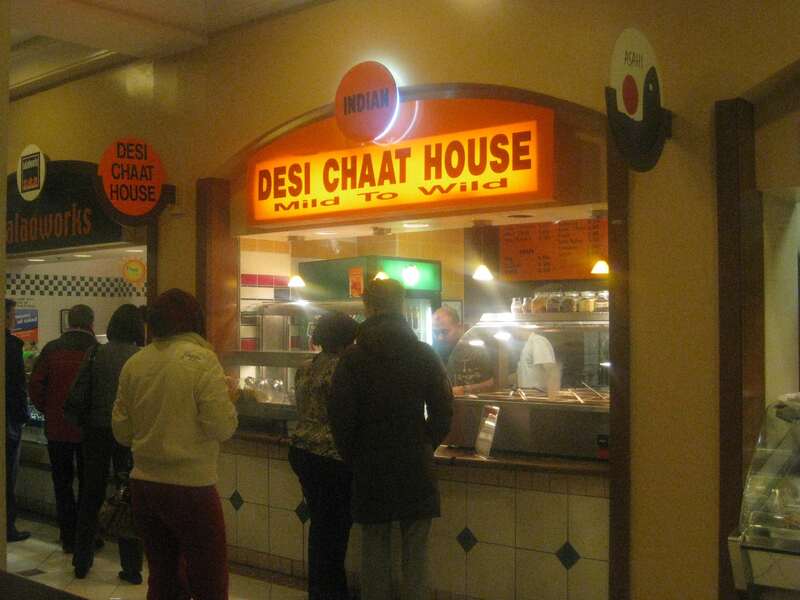 I just found out that the UCity Desi Chaat House opened up a location in the food court of The Bellevue this past winter. I hopped on those escalator stairs immediately with chaat on the brain. Posted at 1:03 pm, March 28th, 2011 under chaat, Indian.